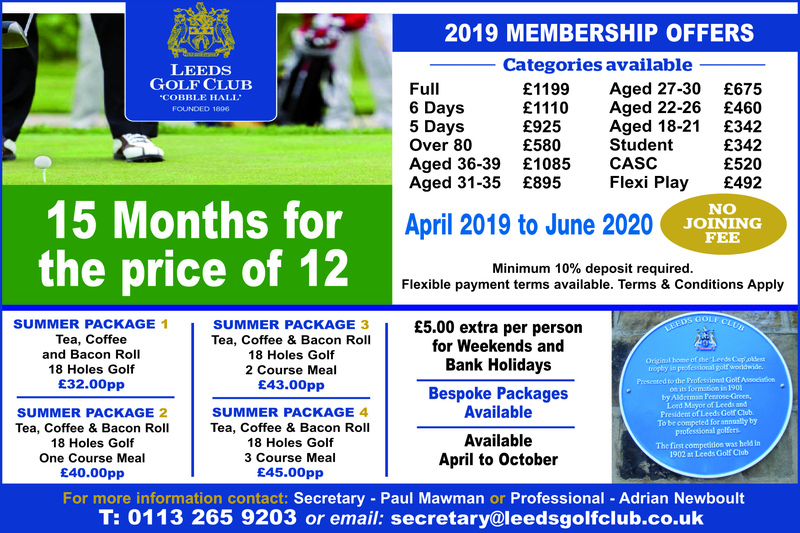 Leeds Golf Club is a Community Amateur Sports Club and membership is open to the whole community and experienced golfers and beginners are equally welcome. The club regularly runs coaching courses for beginners and improvers: for details please contact the club professional on 0113 265 9203 Extension 2. 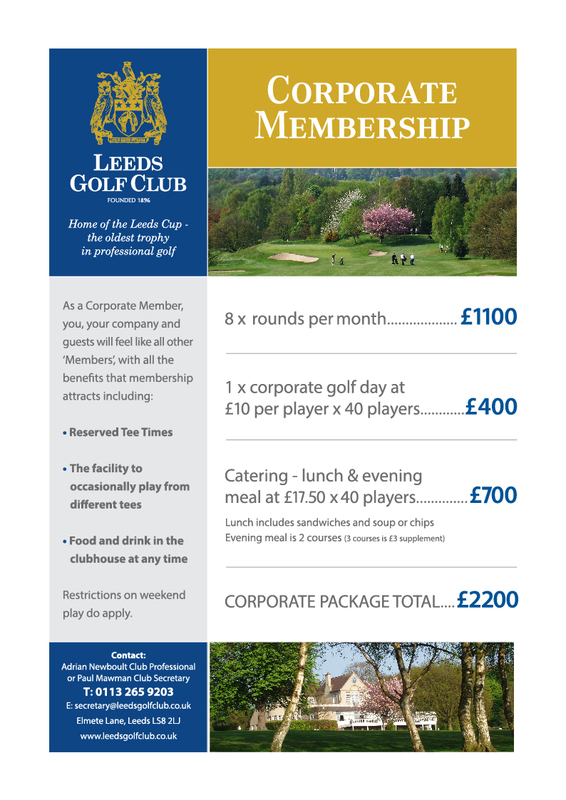 Membership of Leeds Golf Club is available in the following categories: Men, Ladies, Juniors, Flexi-play and Corporate. 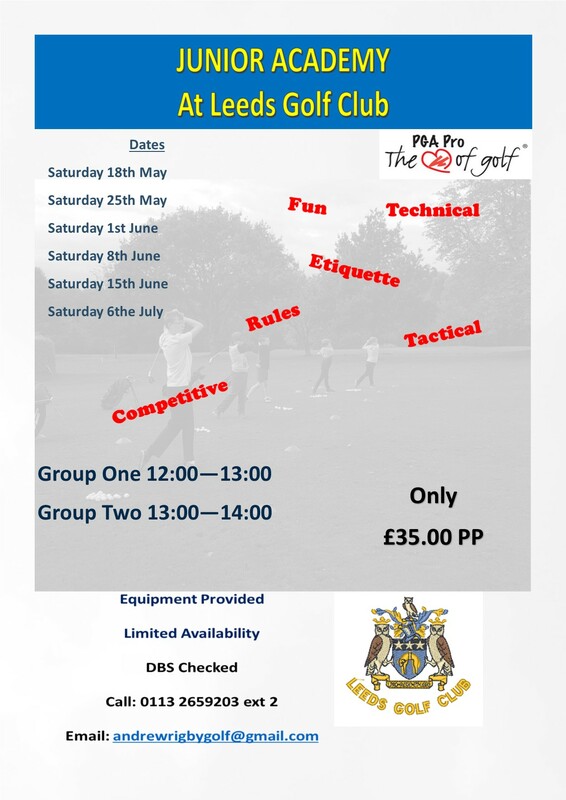 Leeds Golf Club prides itself in support of junior golf. Our Flexi-Play membership is ideal for those golfers who love to play but don’t have the time to get the most out of a full membership. Golf is achieved via the purchase of points that are used against rounds of golf with different points used at different times in the day and different days in the week. There are no restrictions on the number of points to be purchased. of low or modest means. requested to provide evidence of their continuing circumstances. will be responsible for informing the Secretary. These packages are very popular with local businesses and unique in this area of the city. Companies who wish to take advantage of this type of membership should contact the club secretary to discuss the details.